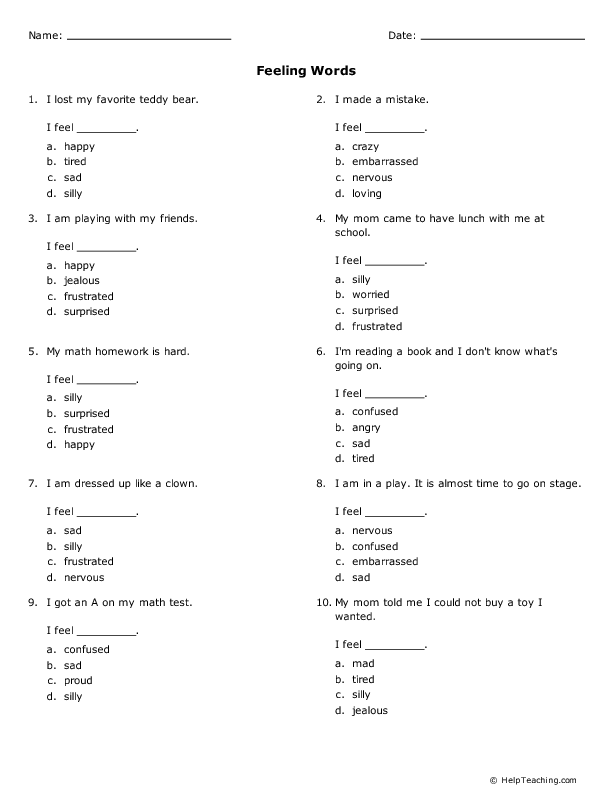 This worksheet contains a list of short sentences that describe different situations, such as losing a favorite teddy bear. Students must select the feeling word that best connects with the scenario. Students will learn key feeling words and adjectives in English. Find more worksheets like this at HelpTeaching.com. What is your feeling today?